Pakistan Post has always been active in introducing latest technology trends for its customers to meet the rising expectations of their customers. Continuing this tradition, Pakistan Post has recently launched UMS Cash on Delivery Service (COD) for the customers. Launching of Cash on Delivery Service will prove a beneficial step in terms of customer satisfaction and convenience and will enable individual and corporate clients to send cash on delivery across the country. With the help of this initiative, cash on delivery services will be available all over the country. Currently, this service is available in 226 cities and towns linked with UMS network. 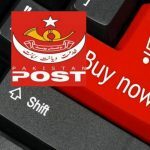 Pakistan Post will enable the service of online shopping for the customers on its website very soon.